Charles Fort was one of the first chroniclers of early unusual aerial phenomena before there was any notion of “flying saucers” or UFOs. The modern era of UFOs, of course, begins on June 24, 1947, but if we look backwards, we see Ohio may have evidence of “visitors” long before then. In his work, Fort mentions an interesting sighting at Sulphur Springs, Ohio, as an example that served his philosophy awareness and feeling that scholars did not have all the answers. Fort pointed out in his book Lo! that he had found on page 97 of the February 16, 1884, issue of Scientific American, a correspondent writes in that, at Sulphur Springs, Ohio, he had seen “a wonder of the sky,” on about the same date. It was torpedo-shaped, or something that appeared to have a nucleus, but tails at both ends. The Scientific American’s editor says that he can offer no explanation: that the object was not a comet. Charles Fort mentioned that, in England and Holland, a similar object was seen in November 1882. 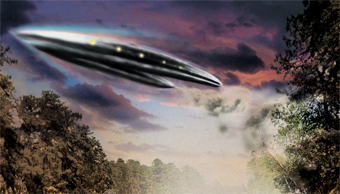 But it is Ohio that intrigues us, and it is here we begin to see that encounters with torpedo-shaped, or as they grew to be know in the UFO literature, “cigar-shaped” objects keep showing up in Ohio’s UFO history. In 1896-1897, the entire United States was gripped by an epidemic of reports of giant cigar-shaped craft being seen in the skies from San Francisco to Chicago. On April 19, 1897, the Buckeye State was “visited,” as well. On that date, one of many reports mentioned a cigar shaped craft was seem, and described as approximately 180 feet long with red, white and green lights, as having appeared in Cochransville, Ohio. On April 8, 1948, residents of Delaware, Ohio, observed many illuminated cylindrical unidentified objects hovering over their city. The eyewitnesses described the objects as cigar shaped. In 1966, a massive “Ohio River UFO Flap” was taking place that overlapped into places like Gallipolis, Ohio, involving the Mothman reports. But as to our focus right now, it is on June 8, 1966, when we find on Sandusky Road, a man driving between Kansas and Toledo, Ohio, who saw an object appear suddenly out of the blue. It appeared to be a metallic cigar-shaped UFO, which flew low away to his Northeast. The eyewitness reported it was completely quiet, and the size of an airliner. Next, “The Great UFO Wave” of October 1973 in Ohio must be mentioned. Widespread in nature, one specific well-known sighting is of interest. At Mansfield, Ohio, a city well known for its bizarre beast history had an encounter between a UFO and a Bell helicopter on October 18, 1973. The pilot, Captain Lawrence J. Coyne said a gray; sixty-long domed cigar-shaped object nearly collided with his helicopter at an estimated speed of 600 knots. Coyne made a sudden descent in order to avoid the collision. The object was said to have a light, which it used to scan the helicopter. 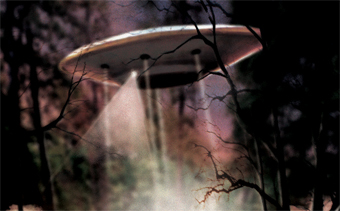 Several other Ohio eyewitnesses confirmed the encounter. 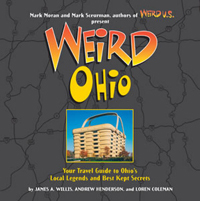 The history of cigar-shaped UFOs in Ohio continues up to this century too. At Wilson, Ohio, a group of witnesses spotted a UFO that flew over their town on December 8, 2002, but then it went out of view over the tree line at 9:00 PM. One witness exited off the highway to go into the city, and spotted the big, bright light in the sky. Said to be about 150 feet off the ground and two miles away, it was definitely a cigar shaped and moved with the eyewitnesses as they drove into the city. The observers, who were traveling at 60 mph, said the object was doing about 150 mph. We won’t be surprised if the kind of UFO seen in Ohio is more cigar-shaped than the more frequently seen triangles of the West and Southwest.